Installed these on my 2013 Ford Mustang with my new lowering springs and they fit perfect. For a couple of months I was looking for rubber idolaters for my ground control coilovers for my Honda because I only had 1 and I couldn't find any and if I did, they cost an arm and a leg. I stumbled upon this site and found these, not even sure if it'll fit my set up, but it was the closest to my measurements. I placed an order because I was happy with the shipping price and price of the product and when I got it, I was excited to put them on. They fit great!!! And they make my suspension ride comfy. 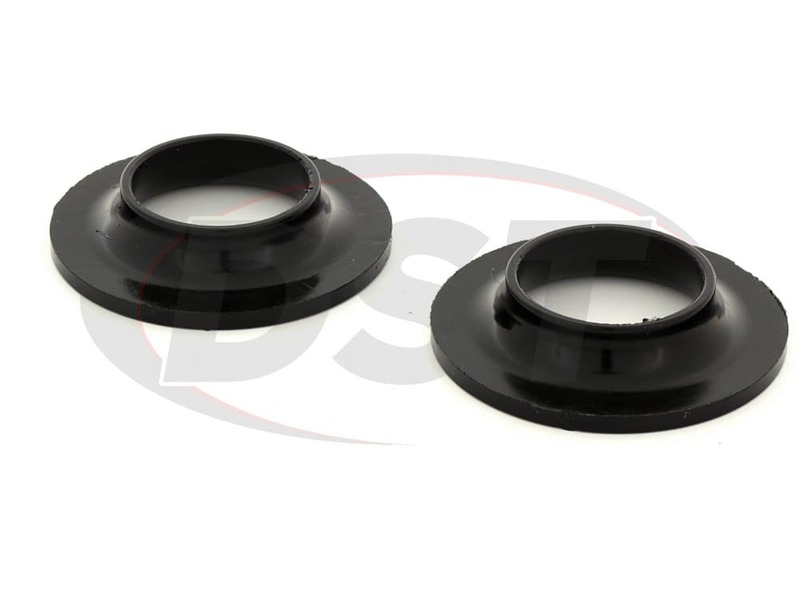 I recommend these if your ground controls are missing isolators to eliminate the coil to top hat smack sound, I know most people lose their original ones. starstarstarstarstar" I Love Them! " 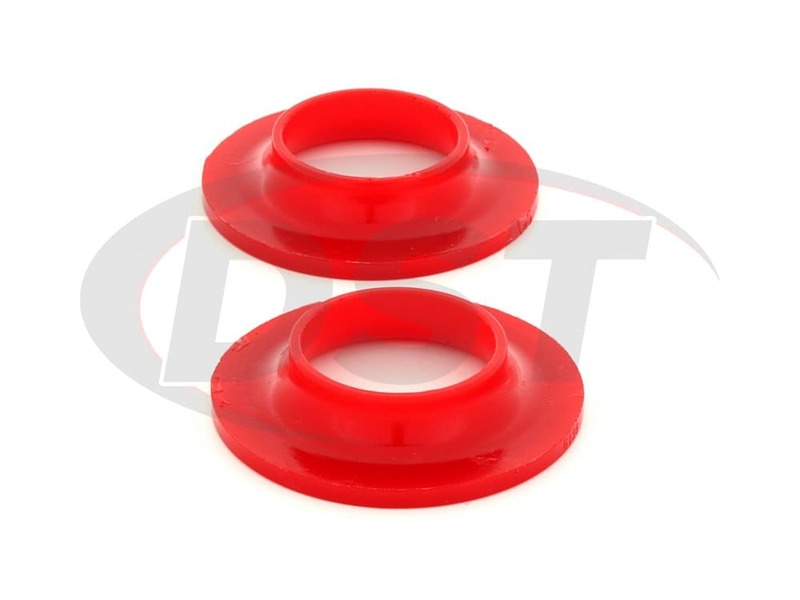 I am using these spring isolators on my 2011 Mustang GT. I was experiencing terrible creaking noises coming from the rear after installing the m5300-p lowering springs. It was so bad I wanted to completely redo my whole suspension. This completely eliminated the problem as well as the car now feels over all more solid in the rear. Thank you guys! I plan on telling everyone! 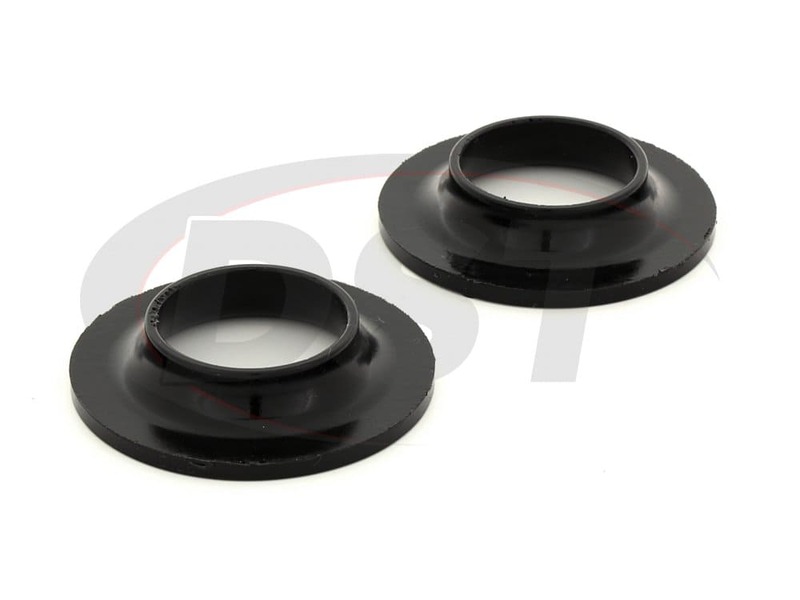 Firmer than stock rubber pads, ideal for performance applications. Fits perfectly. 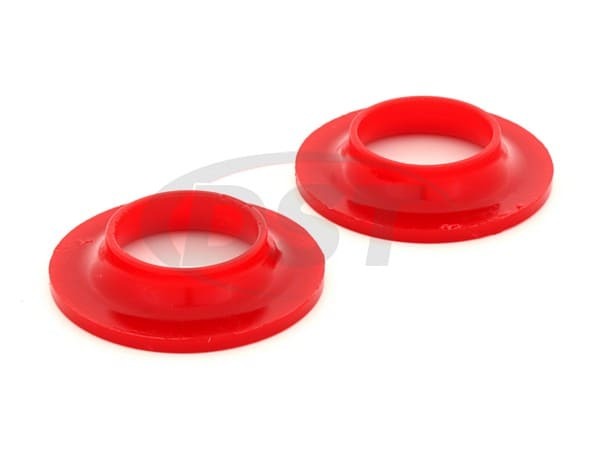 What are the dimensions of these isolators: outside diameter, inside diameter and diameter of raised isolator. 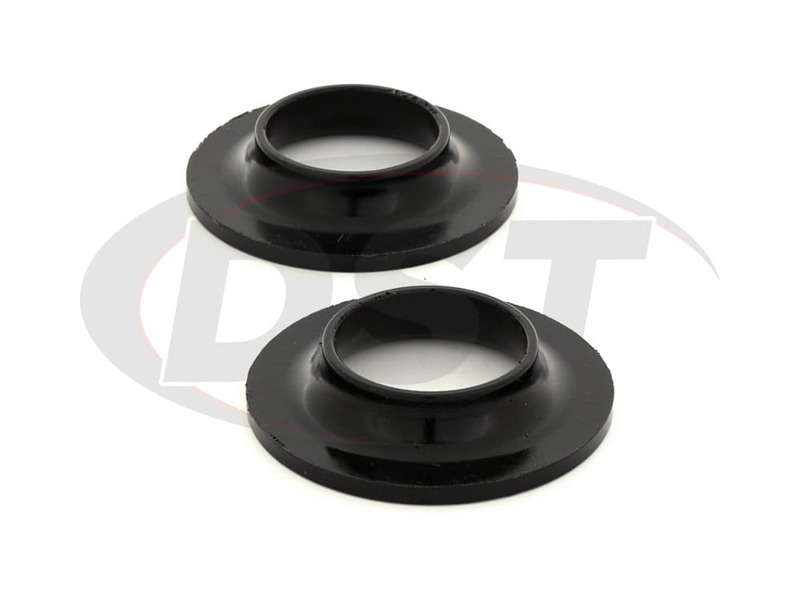 For part number 9.6106, the ID is 2.125, the outside lip diameter is 2.6875, the OD is 4.125, the pad thickness is .25, the lip height is .5625, and the total height is .8125 inches. Will part number 9.6106 fit my 2008 Mustang GT coupe? 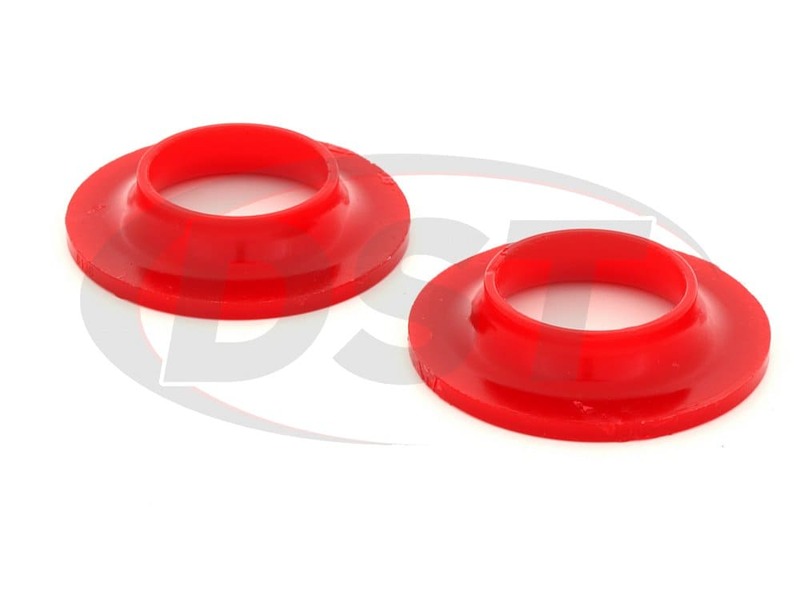 Part number 9.6106 is a universal so you will need to measure your isolators now and compare the specs to these isolators to know if they will fit or not.